For many of us, we cycle as a way to fill up free time and to maintain physical fitness. Cycling is not only fun, but it can also be done as an individual exercise or in a group. As you’re likely aware, cycling can also be a form of transportation, and not only is it eco-friendly, but as previously mentioned, is also a way to get fit. For some people, after many years of hitting the road, cycling is now a part of their life; be it lifestyle-wise or career-wise. Cycling has always been a favourite endurance sport. And, as with many sports, when you start getting into it, it is easy to become obsessed with optimization – regardless of the level of the cyclist. You want to gain a more competitive edge, and this is especially true for cyclists who become a little obsessional with their time on Strava and trying to grab that King/Queen of Mountains (KOM) record. Not only that, you also slowly begin to make a conscious attempt to shave seconds off your time: by tweaking your riding techniques, changing your bike mechanics, purchasing better cycling equipment and even by slowly optimizing your own body by doing other complementary exercises like HIIT, yoga, pilates or circuit exercises at your local gym. Heck, you are even getting more conscious about what you eat, and start taking health supplements to enhance your metabolism. 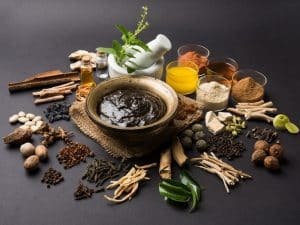 This can, however, be a confusing path to navigate; especially when you consider the minefield of health supplements – seeing so many different types of supplements on the shelves can be a terrifying experience. To make your life easier and take some of the stress out of the situation, we have come up with a list of the best supplements for cycling that have been proven to benefit cyclists. To make things easier to digest, we have categorized the supplements into a sequence: pre-workout, during and after the performance or post-workout. These are the boosters that you can trust to propel you towards better performance. So, when is the best time to take supplements? So how does it help our performance? So, what is the best way for us to maintain a balance of Iron in our body? Caffeine has been proven to be one of the best endurance supplements for cyclists many times over. It is not only useful as a ‘wake-me-up in the afternoon’, but it also beats fatigue and helps you to become better focused. Pre-workout caffeine acts as an ergogenic aid or as a performance enhancer; it can boost effort by 90-100% within just five minutes of consumption. Caffeine has been shown to delay the onset of fatigue in performance, thus increasing alertness in an athlete. 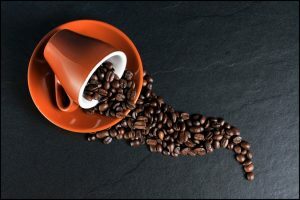 It has been shown to modulate central fatigue – studies performed by the Department of Human Movement Science Santos, Federal University of Sao Puopolo, Brazil, demonstrated that the group supplemented with caffeine increased their performance time compared to the group that was supplemented with a placebo. It also helps in increasing fat utilisation by increasing your metabolism and heart rate. The chemical works the muscle more, so that the body utilizes more fat and leaves the glycogen store as a “last resort” option for the extra boosts you might need at the end of a performance. Every time you do any strenuous activity, your muscles produce waste and breakdown products. One of the significant waste products is lactic acid – this is what makes you feel like your muscles are burning during cycling. 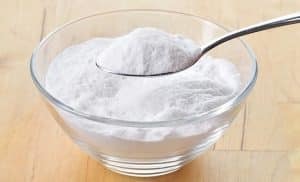 Sodium Bicarbonate, or Baking Soda, is widely known in the sporting world as a pre-workout supplement that aids the reduction of lactic acid during the active cycling phase. Although Bicarbonate falls to third place in aiding the buffer of lactic acid in muscles, it has more use in neutralising the acidity of the blood. As lactic acid accumulates in tissues from intense exercise, blood acidity rises as well. The Bicarbonate that we ingest doesn’t make it into muscles; however, it does make its way into the bloodstream. By ingesting Sodium Bicarbonate, it aids the neutralisation of the acidity of blood, as the substance itself is alkaline by nature and thus allows us to train harder and perform at a higher intensity level. For the substance to work, it has to be ingested two to three hours prior to cycling. That is the reason why it is deemed as a pre-workout supplement for biking rather than taking it during a performance as it takes quite some time to work its magic. However, as a gentle reminder, Sodium Bicarbonate has to be taken in moderation as it can also lead to an upset stomach when taken in excess. So, is Beta-Alanine as good as many supplement companies tout? Beta-Alanine is a non-essential amino acid that is used to improve athletic performance and to help build lean muscles; an advantage that can significantly affect your performance. 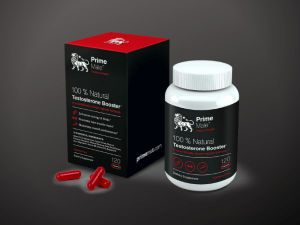 When combined with Histidine, it creates a substance called Carnosine; a dipeptide molecule (protein) often found in muscles fibres, specifically type-2 muscle fibres, which are known to provide short bursts of energy that prevents ageing. It also diminishes hypertension and helps in treating organ complications that arise from damage. In short, a high level of Carnosine will allow us to sneak in an extra two to three minutes more for optimum performance. However, Carnosine supplements alone are not always optimally absorbed by muscles. 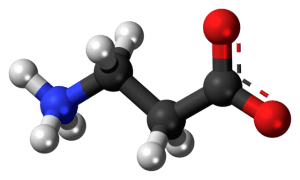 Beta-Alanine, on the other hand, is better absorbed by muscles and helps in the production of Carnosine within muscles. It is often overlooked by many, but Beta-Alanine, part of the building blocks for protein, increases strength while at the same time reducing muscle soreness caused by a build-up of lactic acid. Since Carnosine is mostly found in type-2 muscle fibres, track cyclists are more likely to gain benefits from the supplement, although it also helps endurance athletes (such as road cyclists) in buffering acidity in muscles due to the increase of lactic acid. Before 2005, Beta-Alanine was not as readily available as it is today. Nowadays, however,, after many demonstrations by professional athletes, Beta-Alanine is marked as one of the key cycling nutrition supplements in the market. If we want to perform at our best while cycling, water alone is not be enough to power us through the entire duration of the exercise. While it does indeed quench thirst, it does not supply any nutrition to replace the calories we have burned. This is where electrolytes and energy bars come into the picture as cycling nutrition supplements. We lose salt while exercising in the form of Sodium, Magnesium, and Potassium. This is because when we exercise, we sweat; it’s the body’s way of keeping cool. So, when we sweat, we are not only losing water, but also excreting salt. If we take in more water while exercising, we are diluting the balance of salt in the body, resulting in losing more water and leading us to becoming more dehydrated than ever. This is why ingesting electrolytes is vital in maintaining the balance of salt in the body. 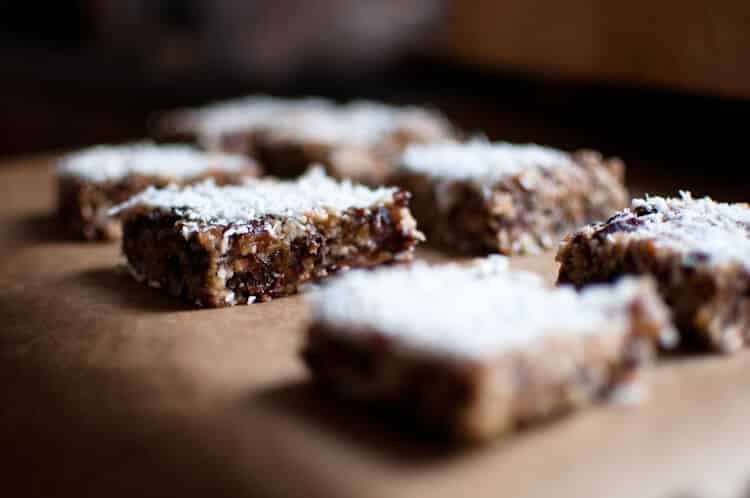 Most electrolytes on the market come in the form of sports drinks, although we can also find them in the form of an energy bar or salt (electrolytes) tablet. Whenever we feel thirsty (as it is a common sign our body gives to re-supply as soon as possible). Before fatigue kicks in. This can be determined by scheduling our intake of electrolytes, so that our supply doesn’t decrease at any point in our performance. Now that we have gotten liquid supply out of the way, let’s talk about food intake during exercise. Our bodies are naturally able to perform for 90 minutes without having to carbo-load; a term used by most endurance athletes, indicating the body’s need to get a necessary supply to maintain performance. Anything above 90 minutes, and we will need to consume two servings every hour, or one serving for every 30 minutes. While this serving might differ to individuals – it could be a 400-calorie energy bar or a packet of 300 calories’ worth of energy gel. As for these supplements, we can always follow the same guidelines as with electrolyte consumption. It more or less works the same as electrolytes, with the only difference being that it should ideally be consumed before the digestive system starts showing any signs of distress. A distressed digestive system is more likely to impact performance and decrease the absorption level of nutrition. It is also a sign that it’s usually a bit too late for us to go back to peak performance level. In the supplement industry, Creatine is a supplement that has been around for quite a while. We see these products lined up on shelves, promoted by many pro-athletes and taken by endurance athletes and other fitness lovers. They are also great for building muscles for athletes that rely heavily on their muscles for performance. Creatine is a naturally occurring compound for most animals; it’s made in the liver and stored in the muscles. A high level of creatine in the body may indicate an acute level of organ damage. In sports, Creatine helps increase the ATP phase in contracting muscles. ATP is the initial contraction of any muscles concerning power output and sudden movements. When Creatine produced by our liver goes into the muscles, it helps expand the ATP phase, therefore, making muscles stronger for a little bit longer. However, as a supplement, it is more potent and more usable by the body in significant quantities. 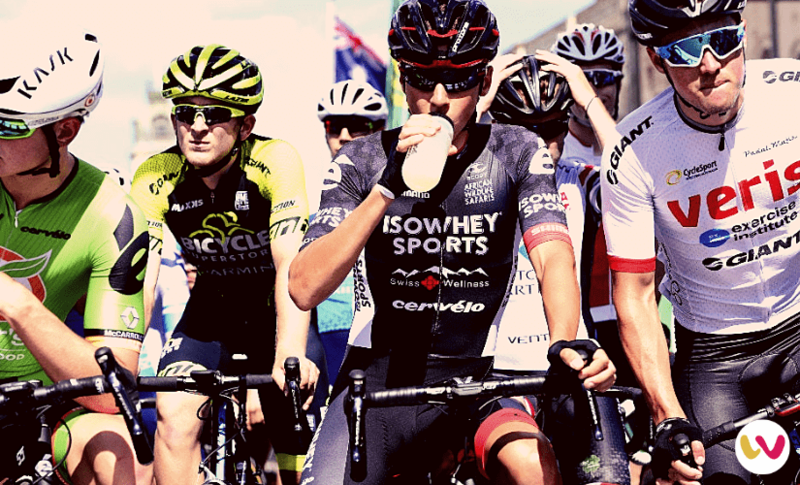 There are many types of Creatine available on the market, but the best Creatine for cyclists is Creatine Monohydrate. It is the optimum form of the substance to be absorbed by the body, and it delivers the best results – not just for cyclists, but for most endurance athletes of other short-burst sports (for example weight lifting). Around 2.5gm to 5gm taken daily is enough to get you through the loading, maintaining and de-loading phase. You can consume a recommended daily dose of Creatine before every intensive workout so the Creatine will go directly to the muscles during the repair phase. During these repair phases, it will aid in mending and repairing the damage to muscles. Confused about the differences between the supplement Creatine and the naturally occurring Creatine in the liver? Don’t be. As mentioned earlier, Creatine that occurs in our liver helps to expand the ATP phase, while Creatine taken in supplement form is more likely to aid the recovery process. 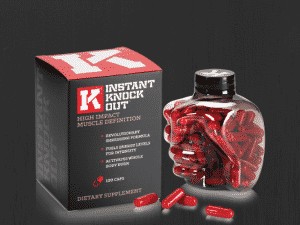 The most effective kind of Creatine usually comes in the form of a capsule. However, many Creatine cycling supplements on the market come in powder form. While powder form may be appealing to most, it is also often mixed with other ingredients such as sugar and preservatives, making it less effective as the level of absorption is lower than Creatine in capsule form. Iron is an essential mineral for many people as it helps in the production of blood. Cyclists will want to have an increased amount of oxygen supply to power us through our rides. A drop in Iron can lead to Iron deficiency, and this is often bad news – the less blood there is in circulation, the less oxygen will be carried in the body’s system, which in turn means a lower supply of oxygen to the organs. For many cyclists, an increased Iron intake is necessary to aid in the production of blood. However, an excess in Iron intake can also be detrimental to health, as it may result in hemochromatosis; a condition in which Iron salts deposit into tissues, resulting in liver damage, diabetes, mellitus and a bronze discolouration of the skin, which can be deadly. The easiest way is to have a blood test – especially during a peak training period – to determine the level of Iron intake needed. If you notice yourself going on rides where you feel more tired than usual, it would be wise to schedule a test. Generally, there is no “set” amount of how much Iron someone should be taking. Knowing your individual needs can help to determine what dosage of Iron you might need. Always remember, just because another cyclist consumes a different amount than you, it does not mean you are “deficient” in it. It is merely a case of how much you need versus the other person. Fish Oil. 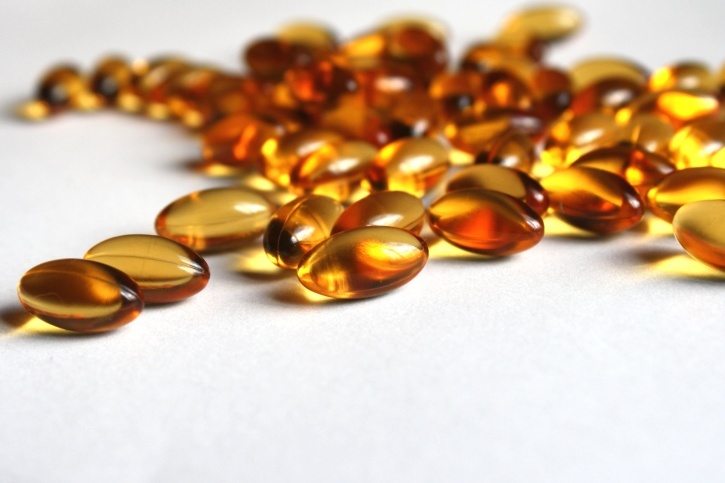 Fish Oil is packed with Omega-3 fatty acids, and it increases our insulin’s sensitivity in the muscles. Omega 3 has two essential fatty-acid components: DHA and EPA. These two components improve our recovery process by decreasing muscle inflammation, leading to a reduction in recovery time. Besides that, another supplement that you might want to consider taking on a daily basis is multivitamins. 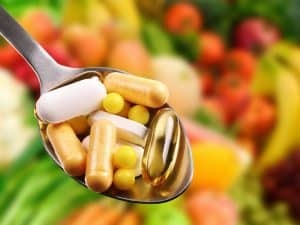 A good multivitamin should consist of Thiamine, Riboflavin, and Niacin; besides the well-known ingredients like Calcium, Vitamin C, Magnesium, Iron and Potassium. These supplements will quickly lead to a better state of health and a happier riding life. While carbohydrates are the primary source of energy while we ride, protein, on the other hand, is the dominant player in recovery. Muscle fibres break down during training, especially if the training is of a high-level intensity, and it gets stronger during the re-building process. Ingesting Whey Protein helps to speed up the recovery process. Even though protein is readily available in a lot of food, the consumption of Whey Protein guarantees that you get a quick, high-quality supply straight to the system. Plus, it also means you can monitor the amount you are taking. If you decide to incorporate the supplements listed above, make sure you get them from a reputable brand. Always check the label before you start loading up on these supplements! 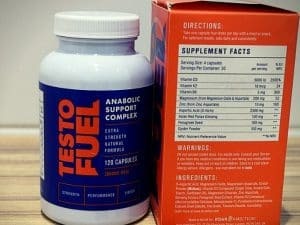 A good supplement brand should also provide detailed information about its products. They should have been tested for banned contaminants by a reputable sports anti-doping lab. If you have any doubts about the authenticity of a brand, look for reputable alternatives. Always read the label and make sure that you consume supplements in the right form, using the correct method. After all, prevention is easier than cure.